Just pour some coffee into a bowl. 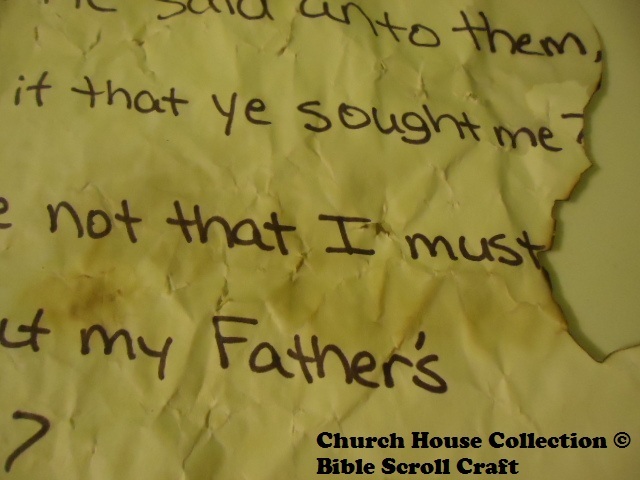 Then take your notebook paper and have the child write a scripture on it. 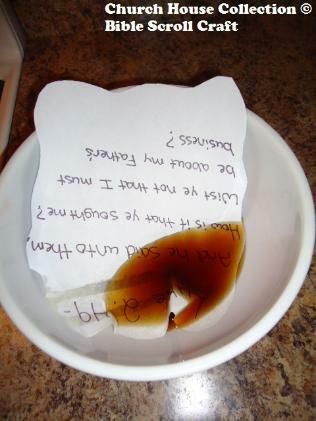 Then let them soak the paper in the coffee for a couple of seconds. Take it out and blow dry it. Then have them roll it up and tie it with a ribbon. Now they have their own personal scroll. 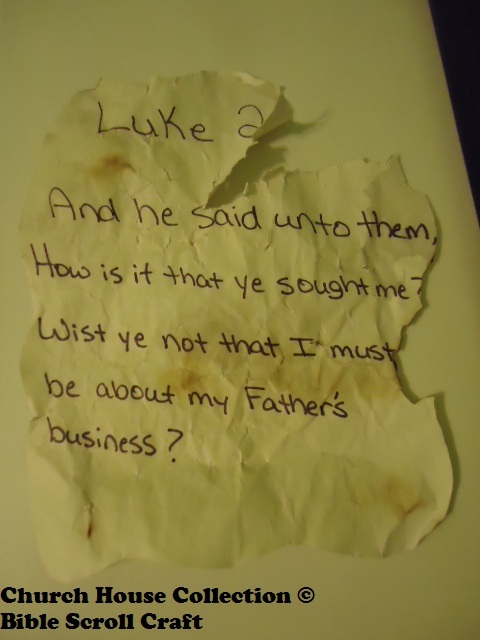 I used the lesson when Jesus was 12 years old and went missing for three days and was found in the teaching in the temple. 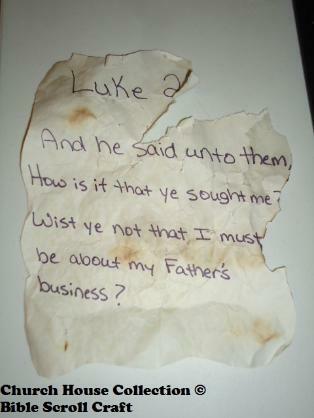 I wrote the scripture from Luke 2:49 on my piece of paper. Luke 2:44 But they, supposing him to have been in the company, went a day's journey; and they sought him among their kinsfolk and acquaintance. Luke 2:45 And when they found him not, they turned back again to Jerusalem, seeking him. Luke 2:46 And it came to pass, that after three days they found him in the temple, sitting in the midst of the doctors, both hearing them, and asking them questions. Luke 2:47 And all that heard him were astonished at his understanding and answers. Luke 2:50 And they understood not the saying which he spake unto them. Luke 2:51 And he went down with them, and came to Nazareth, and was subject unto them: but his mother kept all these sayings in her heart.